Following on from last weeks post, How To Be An SEO Service Provider, we'll now take a look at the art of the SEO proposal. Pitching and proposal writing is a time consuming business, so ideally you want to put your efforts where they will get the most reward. Here are a few tips on how to land the best clients, and how to avoid wasting your time. The first rule when pitching or writing a proposal is to put yourself in your clients shoes. What would be your concerns? What would be holding you back from handing over thousands of dollars for SEO services? You'll need to anticipate those concerns, and be able to counter them in order to win the job. Is my money better spent elsewhere? How does this help me achieve my goals? Will this make me look stupid? To overcome these objections, it is a good idea to have case studies and references prepared. Use before and after scenarios which demonstrate how your skills solved a problem and added value. Here's a great one by Jill Whalen. "High rankings are great, but what do they mean to a business? We talked to Doctor Bowler from Georgetown Surgical recently, and asked him, was he getting new business from the Internet? He was getting two to four new patients a week with his old website, and he's currently getting 50 to 70 new patients a week. That's a dramatic difference: he was nearly going bankrupt and was close to shutting up shop, and now he has to hire a new surgeon". Now, who wouldn't buy that! Demonstrate the value of your services over and above what your service costs to provide. For example, try to show revenue increases, as Jill did. 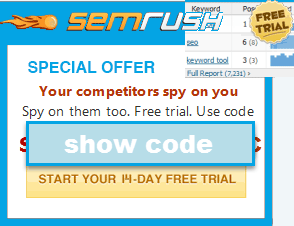 You could also show traffic increases, and value these clicks against the PPC prices for these same keyword terms. A variety of tools, including Google Traffic Estimator, can help you estimate the value of search traffic. References are also valuable, because clients often seek out independent verification of what you're saying. Treat every client you have as a potential future salesperson. If you're new to the game, and don't yet have any case studies or references, then consider doing a few freebie jobs. Theses jobs are essentially a marketing spend i.e. you "spend" time, but in return you'll be able to create case studies and get the references you need. Don't give away your services to just anyone. The bigger the names, the better. You'll be associated with success. High profile charity organizations might be a good place to start. Neil Patel got his start by giving free SEO tips to top tech bloggers. Bloggers have a big reach and lots of link equity that can be leveraged, so helping them can work just like helping a charity. Probably the most valuable thing you can do, in terms of landing a sale, is to make a real effort to understand the clients business. Find out who their competition is, research their market sector, and ask questions. Most business people will appreciate you going the extra mile to truly understand them, and the issues they face. The flip-side of the argument is "is this pitch worth your time"? The unfortunate reality is that some clients are not clients at all. They might be competitors trying to find out your pricing structures and strategic approach. They might be tire-kickers trying to scope the market. They could be bottom feeders who want the earth, yet are only willing to pay a few hundred dollars. You need to quickly identify these people, for the sake of both your business, and your sanity. Make sure you're only giving away detailed strategy and pricing information if you're close to the sale. To exclude bottom feeders, mention a minimum starting price early on. If you can return real value to clients i.e. not just ranking and traffic, but real tangible, value - then why aren't you keeping all that value for yourself? Why not compete with them instead? How about partnering with people so you get to keep an on-going share of their business? If you can position sites in lucrative keyword areas, that is a very valuable skill. Can clients even afford to pay what you're really worth? If you're really good at SEO, do you really need clients? " Unlike PPC, SEO is a strategy that requires significant client buy-in in order to work well. The reality is that the bigger the client, the less likely you are going to get your way until you've proven your worth. It's a catch 22 situation. Test the clients expectations early and be upfront about what it's going to take. For example, who has control over the website? i.e. are you talking to the right person? How much are you going to be able to alter the website? Why do they deserve to be number one? What are they prepared to do to get there? The happy medium is to land a client you can work with for mutual benefit. When I was doing SEO for clients, I wrote up an ideal client profile. If the prospective client fell outside this profile, I wouldn't take the proposal any further. There are exceptions, of course, but clients who fit this profile were a lot easier to deal with, and a lot more profitable than the alternative. One area I found that really makes a difference is how much the client knows about SEO. If a client has the wrong idea about SEO, then you're going to be spending a lot of your time educating both them and their design teams. This can be a long, costly unproductive process. One way to get around this is to start with PPC. PPC is low impact. You can use PPC to demonstrate to the client that the traffic is there, and that s/he is missing out on it. If the PPC spend is high, you can then demonstrate how you can create cost efficiencies by getting that traffic at a lower cost, using SEO. It's a good way to educate clients by showing, rather than telling. A lot of SEOs don't do this, and I suspect it's the prime reason the industry has earned a bad reputation. For example, a lot of SEO is sold on the basis that the client will get an increase in rankings. An increase in ranking is meaningless unless it translates to a desired action. Some clients will be fooled by such metrics for a while, but they are unlikely to remain so. Eventually, they will look at their marketing spend, then look at their traffic numbers. If those referrals from search engines aren't heading up, then you're unlikely to get on-going work. If you're not getting on-going work, then you'll spend a lot of your time on the expensive sales process as you churn and burn your way through clients. Not that this isn't a valid business model, but it can be a difficult way to go about things. Likewise, traffic can be a poor metric. It works for a while, but unless the client is solely preoccupied with traffic numbers i.e. sites that sell advertising based on page view numbers tend to focus a lot on pure traffic volume, then you're unlikely to get long term business. The traffic needs to turn into a relationship, a sale, or an inquiry. Marketing spend, in all businesses, needs to be justified in terms of the bottom line. Everything, eventually, comes back to revenue. If you can help the client increase revenue, then you'll make yourself indispensable. Show how SEO fits into their business objectives, which is why making an effort to understand their business is so important. 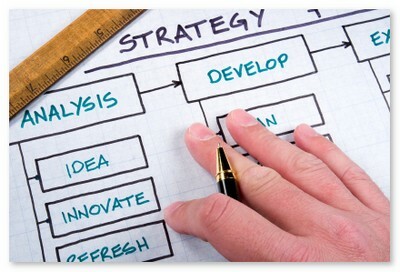 At that point, you can start to reorient their web strategy around SEO. Not only does this give you more sway, but it increases the chances of future work. For example, you could turn a brochure-web strategy into a publication strategy, which then opens up more content writing opportunities. The client is not going to be able to change a thing until they talk to you first. If you're in it for the long term, then that's where you want to be. Nice follow-up to an article that really added value to a lot of people last week. It would be great to see templates of what other SEO's use too. I've not yet written a proposal that has been the same as another so far, as I find it more helpful to go through each idea from scratch has opposed to working providing a generic proposal - it sells the value to the company far more effectively, and as you say promotes buy-in and longevity to commitment. I've seen others online [that people have accidentally left crawlable on their server] where people have simply dropped the name of the domain in question in to a generalised template. Each to their own, but I think that's pretty slack IMHO. I don't think they should be called a proposal either, but rather a document entitled the 'realms of SEO' - generic documents like this are almost meaningless to a business I feel. 3 things I have found that help in this realm: defining the items "in scope" and "out of scope" up front, defining a specific measure of success up front, and providing a month-over-month report. By defining the scope and naming some things that will (or will NOT) happen, you reduce guesswork and avoid missed expectations. It protects you as well as the client. By naming a measure of success, you create a potential stop date for the project. It serves as a good time to look at the progress to-date, and determine next steps. Many times, it serves as a point to end one, and start a new project. Last, by creating a simple month-over-month spreadsheet highlighting KPIs and SERP positions, I provide a single document that translates SEO into measurable numbers. I have found this to be very key in encouraging people to stick around - they may not see the minute details, but when you pull it all together for them to see, they are more likely to engage you to keep the progress going. Another fine piece of work in this post, Peter. Second that - I'd love to see your proposals or a template you use, Peter. Mine don't seem to close the deal very often, though partly that's probably due to price. Perhaps SEOBook could organize a space on GDocs for folks to upload their proposals etc.? "Mine don't seem to close the deal very often, though partly that's probably due to price. " If you feel comfortable sending your proposal to me, I can take a look and offer you my thoughts. 2) Emphasis on three main facets of SEO (site-side, link building, analytics). In many cases, it's our ability to demonstrate link building or analytics proficiency that wins the business. We really only work with Fortune 1000 firms, but I think that most of these apply for small business SEO as well. This post was tremendously helpful. Thank you. It is definitely important to have a filter and ideal client profile, if you don't it only leads to frustration and a client that is obsessed with rankings.